For those not in the know, Badminton School is a seriously dynamic day and boarding school for girls aged 3-18, set in the heart of Bristol. What makes it interesting, and stands it out from the crowd for us, is from the very beginning the school developed a very broad curriculum for its girls and extracurricular activities, including sport, were encouraged by its founders, who wanted to offer girls everything their brothers enjoyed. In fact, girls have played cricket here since 1858 and science has always been strong, never more so than today. But it is not just academics and sport that fly high. For a small, city school Badminton has a strong international vibe, and children embrace learning about other cultures. 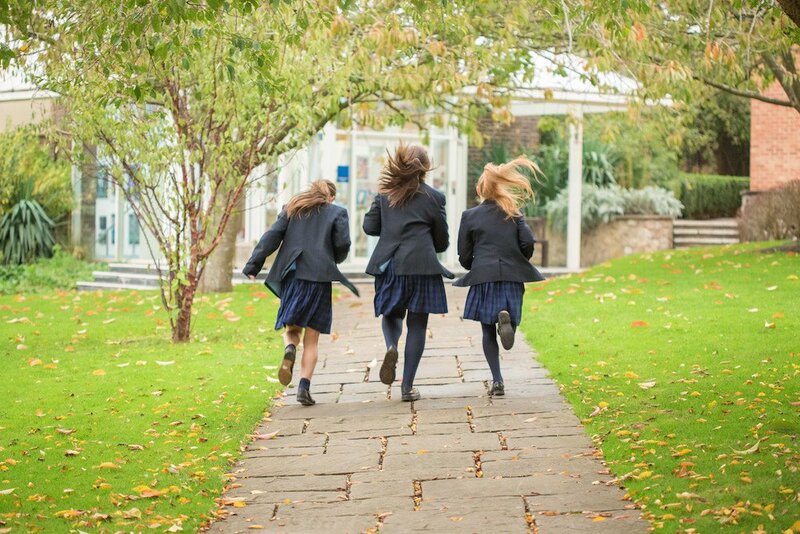 The facilities are excellent and the school has some of the best boarding and pastoral care provision we have seen. But most impressive is the emphasis on holistic education that the school, and its head Rebecca Tear, place on all aspects of school life. We at Muddy were lucky enough to be invited for a cuppa and a chat with Rebecca, and we took the opportunity to quiz her on her philosophy of holistic education – an idea based on the premise that each student finds identity, meaning and purpose in life through connections to the community, to the natural world, and to humanitarian values as well as academic ones. Muddy Stilettos: Firstly, can you give us an overview of Badminton School, and its ethos? Rebecca Tear, Badminton School: Badminton was founded in 1858 to be a pioneering school that provided an education for girls, with a range of subjects beyond those that were the norm for that time. The aim was to enable girls to have a rich and fulfilling experience, discover their talents and ensure that they could leave, confident within themselves and make a positive impact on the world. We are still keeping that pioneering spirit alive today, 160 years on, across both our Junior and Senior Schools. We pride ourselves on a culture of mutual respect and tolerance, underpinned by a strong sense of integrity. We challenge our community, staff and pupils, to be the best they can, to be intellectually curious and we encourage contribution to every aspect of the School. Above all we ensure the community has a good sense of fun! How do you cater for the ‘whole’ child? The aim, as in all secondary schools, is to facilitate the girls’ access to the next step of their educational journey, but what is different is that the focus at Badminton remains on adopting and appreciating a holistic approach to learning; this really broadens the girls’ thinking and does not simply “fill them up” with knowledge. The team of academic, pastoral and support staff work to inspire ideas and develop curiosity in the girls. They create opportunities to actually do things rather than just think about them; I love the way the girls are focused on actively engaging with their subject material through research projects and community work, rather than on the gathering of qualifications. In fact, one of the most frustrating aspects of my day is knowing that there are a number of amazing things that are taking place in the School at any one time and not being able to get to all of them! Has the ethos of teaching changed? Have you moved away from a focus on exams? An important part of the School’s role is selecting the right exam courses and achieving the most positive outcome for each individual. However, our focus at Badminton remains on adopting and appreciating a holistic approach to learning and broadens the girls’ thinking; we aim to give them skills for life that will futureproof them in this very changing and challenging world. At Badminton, we create opportunities to actually do things and utilise the knowledge gained in the lessons through a range of activities, clubs and competitions. Our small class sizes also mean that every lesson is one where conversations are had, practical engagement is to the fore and no one can be anonymous! The school has a great sporting reputation. How does the girls’ love of sport support Badminton’s holistic education? Opportunities are gathering a pace at the moment with the opening of our new Sports Centre and formalisation of Sports partnerships, making our campus in Westbury-on-Trym buzz with activity. We know that Sport promotes wellbeing and positivity and so we make it a key part of our integrated programme. 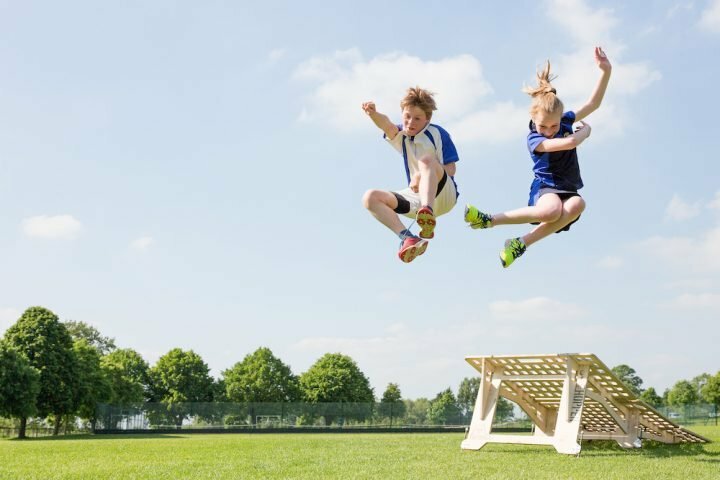 Sports provision at Badminton does not stop on the field but continues into the classroom and through an extensive range of extra-curricular activities, workshops and events. GCSE and A Level PE give pupils an opportunity to combine the theory and science behind sport with practical work and other girls gain wider skills through the Athlete Scheme. Extra-curricular and partnership provision enable pupils to access a broad variety of activities at club level and beyond. Our sports scholars have opportunities with Hartpury University and Girls Go Gold to stretch and challenge them, whilst opportunities from climbing on our indoor climbing wall through to archery, yoga and fencing give all girls the chance to find their own way to stretch and relax. We want them to find their way to unwind and manage their own wellbeing, enabling each girl to understand and achieve a sustainable work-life balance that will stay with her for life. How do Art, Drama and Music fit in too? 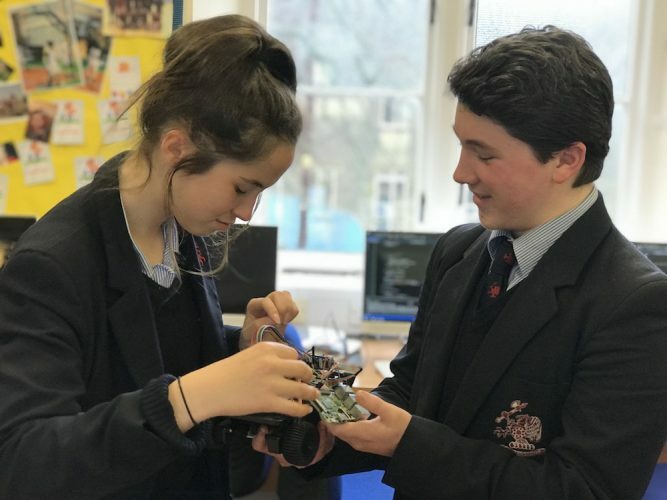 The breadth of creative and aesthetic opportunities offered at Badminton is unique; it sits both inside and outside the curriculum and is at the heart of many community activities. The Art Department is housed in the beautiful Creative Arts Centre, where bright studios are accompanied by a contemporary gallery space. Here we cannot help but be impressed by the kaleidoscope of exhibitions, where work of exceptional range and quality can be enjoyed and celebrated by the school community and visitors alike. Girls take fine art, graphics, textiles, ceramics and jewellery-making and have opportunities to work with visiting contemporary artists. Photography, Art and History of Art are all offered at A Level. High quality teaching and individual mentoring enable pupils to develop finely honed portfolios and to gain places on a range of top courses such as the London College of Fashion, St Martin’s, Oxford and Cambridge. Many go on to work in the creative industries including Fine Art, Graphic Design, Architecture, Fashion, Animation, Photography and Arts Journalism. Those who work in other areas take with them, from Badminton, a strong aesthetic sense and a confidence about visual communication skills. We see Drama as an exciting creative discipline and an important tool that allows girls to develop self-confidence, to build on social and teamwork skills and to appreciate tolerance of those around them, as well as allowing for the development of empathy. At Badminton, Year 7 collaborated to produce a musical in a week, performed to the School and to parents. This is a challenge, lots of fun and serves to cement the Year Group in its identity, making a firm foundation for learning and for supporting each other in the years to come. Many girls then take part in the annual school production and the other performance opportunities on offer. Drama can be brought into all subjects and can allow pupils to be more expressive in their work; creating learners who think outside the box and at Badminton we encourage the use of drama within the classroom through the idea of ‘learning by doing’. Last year our History students enacted the story of the 1000 year history of Westbury Parish Church in front of an appreciative audience of local people. Humans are driven by a need to be creative and Drama is an important way to channel this energy. Every year individual pupils leave Badminton to pursue careers in Drama – pupils such as Polina Kalina who, having first visited the Tobacco Factory as a Year 9 student, returned as the guest Director for a sensational, bold production of Romeo and Juliet in 2015. Other alumnae include Phyllida Law and Rosamund Pike. Renowned for its quality and broad appeal, Music at Badminton is international in its approach. Beyond curricular Music, there are one to one lessons and many ensembles. Performance opportunities vary from informal through to our Spring Concert; annually the School celebrates its musical prowess with a concert at the acclaimed venue, St George’s, Brandon Hill. On top of their performances in school, current pupils are members of bigger groups, such as the National Children’s Orchestra and the Bristol Pre-conservatoire. Bristol is recognised as one of the most musical cities in the UK and Badminton benefits from this; we employ a dedicated and talented team of visiting music teachers from the locality. Over half the student body learn at least one instrument and those students who wish to become professional musicians do go on to a range of conservatoires. Tell me about boarding at Badminton. Does this support the whole child too? 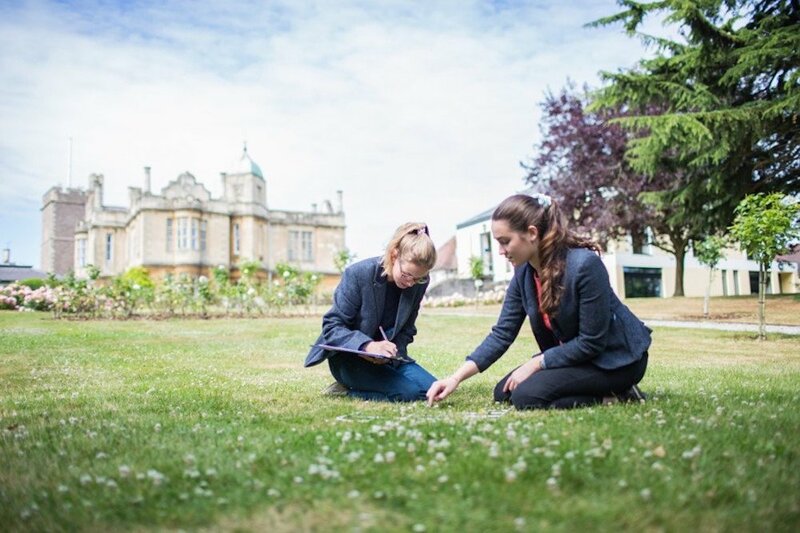 Boarding provides the ideal environment in which young people can gain early independence, cultivate self-reliance and grow in preparation for university life and beyond whilst being surrounded by caring specialists and a supportive community. Important life skills such as adaptability, compromise, empathy and resilience are honed during their time in boarding. Often we see a newfound confidence being borne amongst the shrinking violets out of the constant interaction with others that being part of this type of community engenders. It is here that lifelong friendships are forged over wins and losses on the hockey pitch, midnight feasts in dorms, expeditions to “wild country” and endless cups of hot chocolate. This often international community network is one that will endure well beyond the end of their school days. 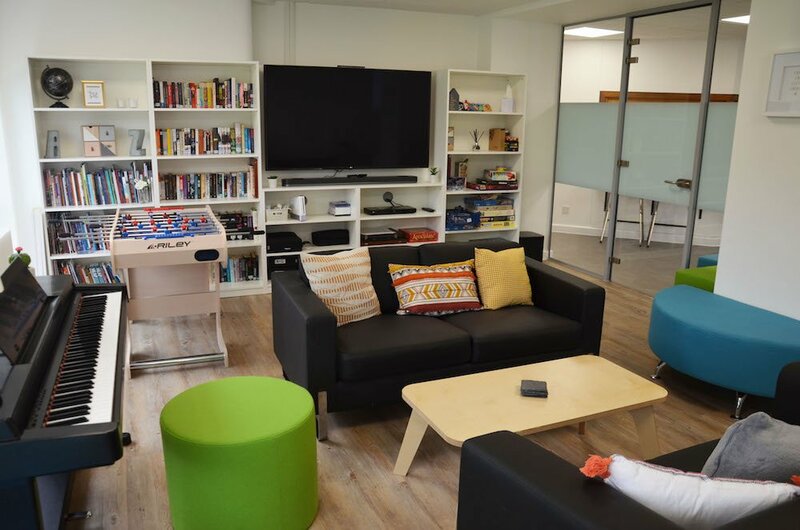 By the very nature of their 24/7 life, boarding schools will usually offer a more extensive range of facilities and activities than their day school counterparts. 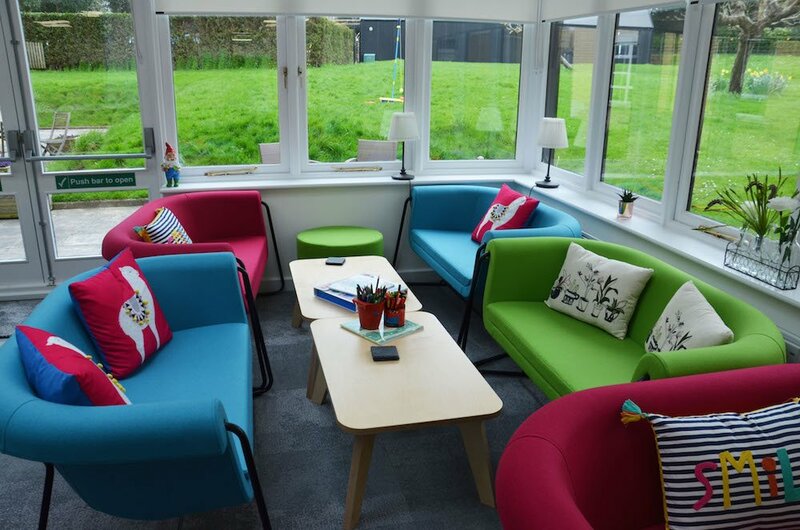 Access to these, as well as the academic staff who often live on site and play key roles within the boarding community, extend well beyond the school day. Time otherwise lost in traffic commuting to and from school or clubs and activities, can be better used in musical rehearsals, drama performances, academic clubs, sporting pursuits or even just relaxing and enjoying friendships; that gained time is also vital in ensuring girls can enjoy their activities and still have some space to just be. 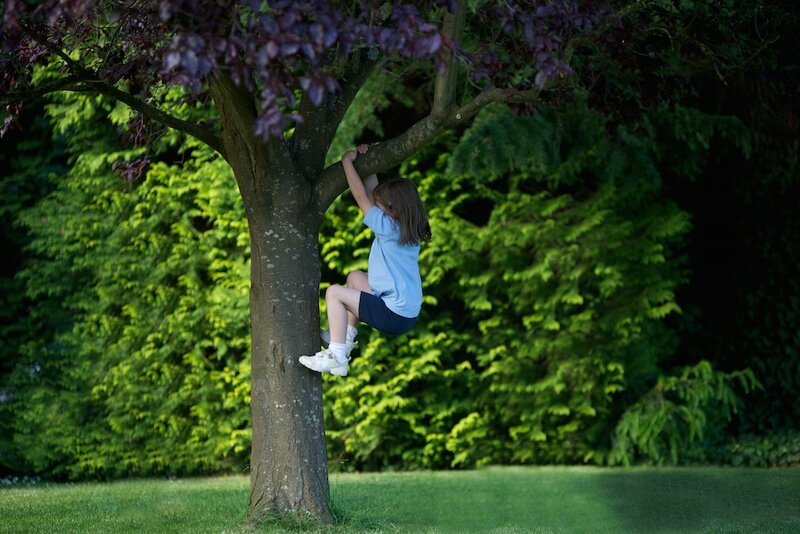 Is the mental health crisis in children being a bit overblown? If not, what can we do to ease this? What do you do if you see a child struggling with anxiety? Badminton recognises that all pupils have mental health and that, depending upon the day – or sometimes hour, it can be in a state which is moveable along a continuum. The wellbeing of our pupils is at the heart of all we do and our approach to supporting and engendering positive mental health has many strands. We have a robust pastoral structure in place that gives girls a variety of staff to turn to in case of need. 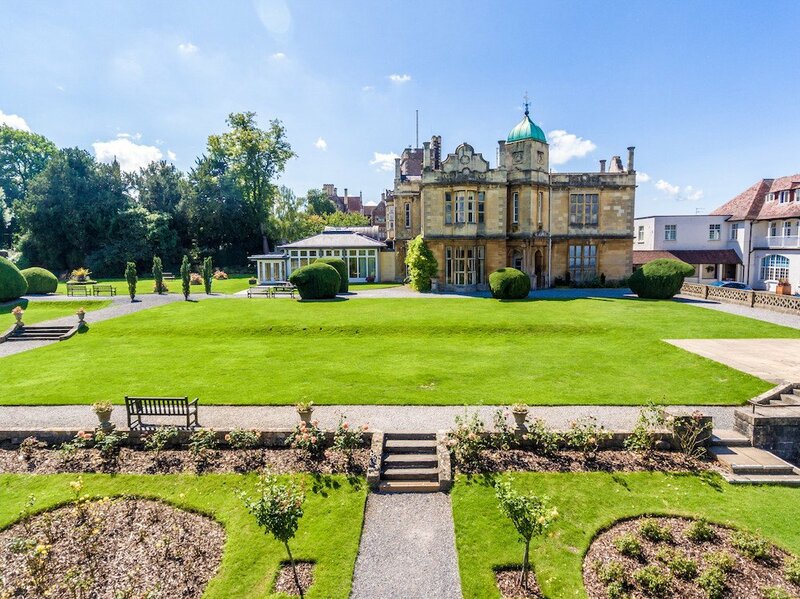 The School is proactive and compassionate in every part of its structure; from the interlocking layers of Form Tutors, Pastoral Heads, and Housemistresses, through to the nurses, counsellors and independent listener. There is also a group of Sixth Form girls who have been trained by our counsellors to be Peer Mentors and who make themselves available to girls as a supportive, listening ear. As far as possible, we try to destigmatise the term “mental health” and have a Wellbeing Coordinator who maintains the wellbeing information boards around the School and in the Houses highlighting the 5 ways of wellbeing as well as leading assemblies and organising talks on this theme. The PSHE programme also explores the concept of mental health and how we promote it through positive action and where we can get support if we feel that we need it. Above all, we teach the girls to take responsibility for their own mental health. We share with them a range of tools from the .B Mindfulness Course to the Press 4 Times to Prosper method and also make available, in school, quiet spaces for them to go and just be and optional relaxation classes such as yoga, Pilates and stretching. We teach our girls about topics such as the importance of sleep, the Growth Mindset and remaining solution-focused. Developing resilience and awareness of all the tools that can help them (not necessarily now but in times ahead) is at the heart of what we do at Badminton because we believe that it allows our girls to thrive now, and in their future. In what other ways does Badminton explore and support holistic education? 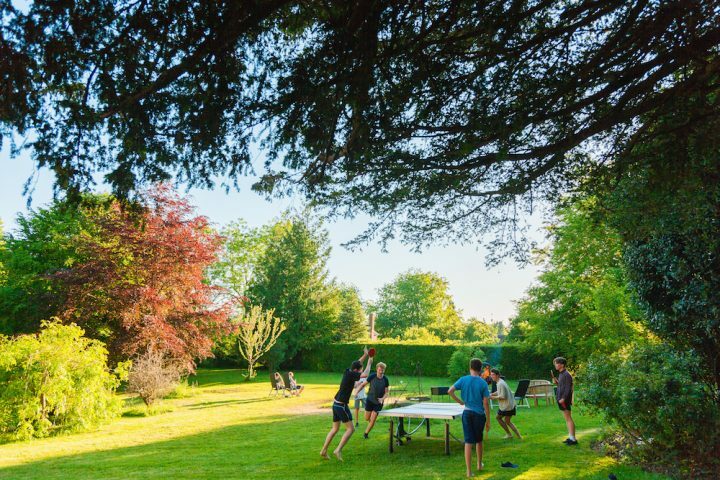 Our activity based approach means that from the moment you walk through Badminton’s gates, you are engulfed in its busy, buzzy and friendly atmosphere. It is wonderful to be a part of it and a privilege to capture the energy that the girls exude as they throw themselves into all they do. The broad range of activities, from forest school to ferromagnetic research or Art to archery, ensures that everyone can find something that interests or challenges them and helps to develop them into the person they want to be. Other than being curious, outward looking and confident, there is no “Badminton type”; each girl is unique and Badminton enjoys celebrating that. I certainly feel privileged to be a part of the community here and am hugely proud of all that the girls achieve, but the best part of my job remains sharing the laughter and sense of fun that will certainly erupt through whatever is going on at some point every day! Find out more at their Senior and Sixth Form Open Morning on Fri 1 March at 9am, and their Whole School Open Morning on Mon 6 May at 9am – book here. We were mighty impressed during our visit – check out our Muddy review!